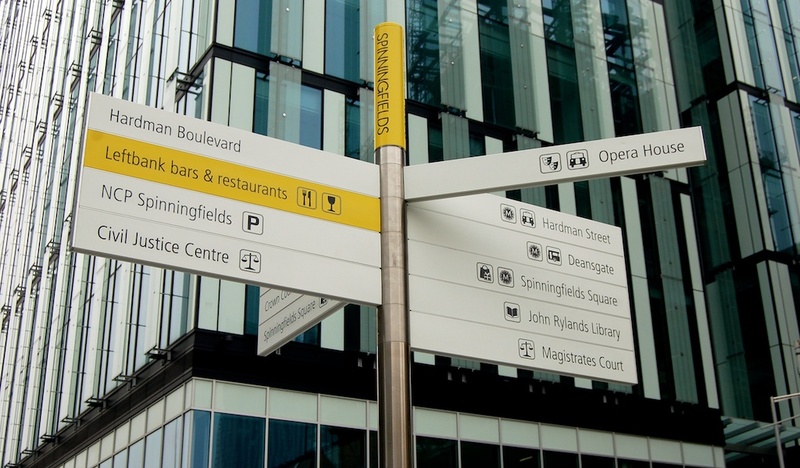 Spinningfields is Manchester’s new central business district. Developer Allied London is responsible for regenerating this forgotten corner of the city centre, and turning it into an award winning commercial, leisure and retail destination. The development comprises some 4.5m sq.ft of commercial, civic, residential, retail and public spaces. 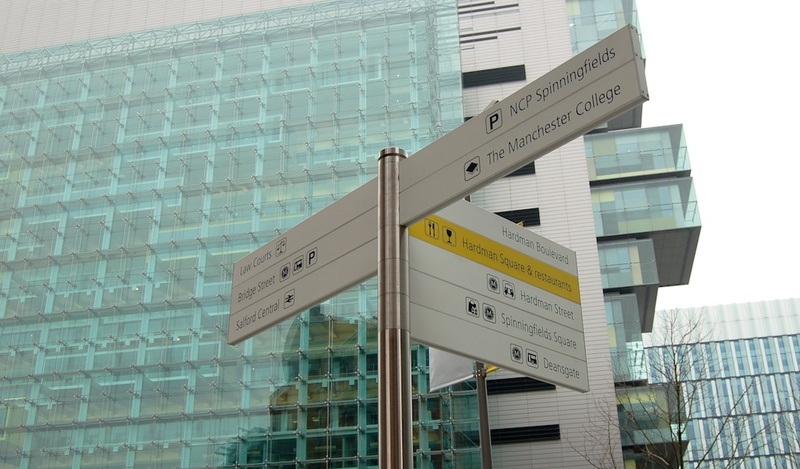 There are some 24 acres of new build and 7 acres of new public realm. 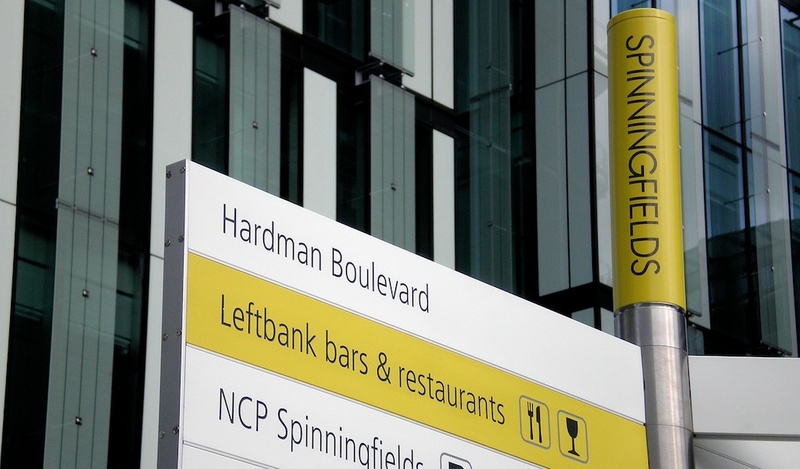 Momentum were appointed by Allied London to connect the development to the existing fabric of the city centre. 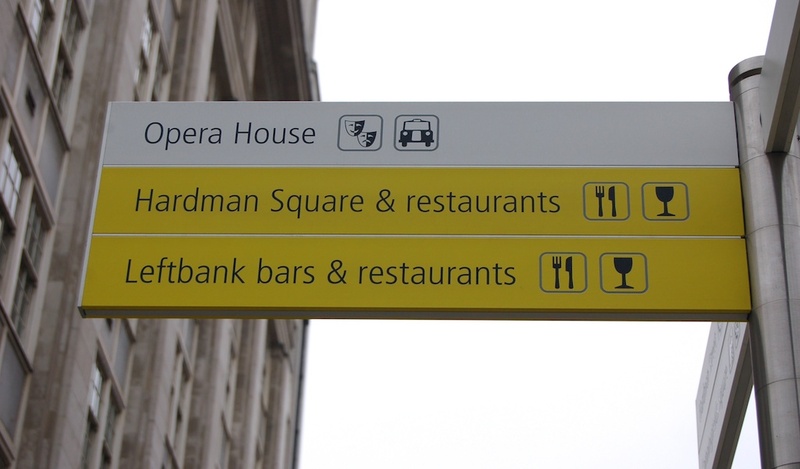 Our remit covered vehicular wayfinding and pedestrian wayfinding both on- and off-site. 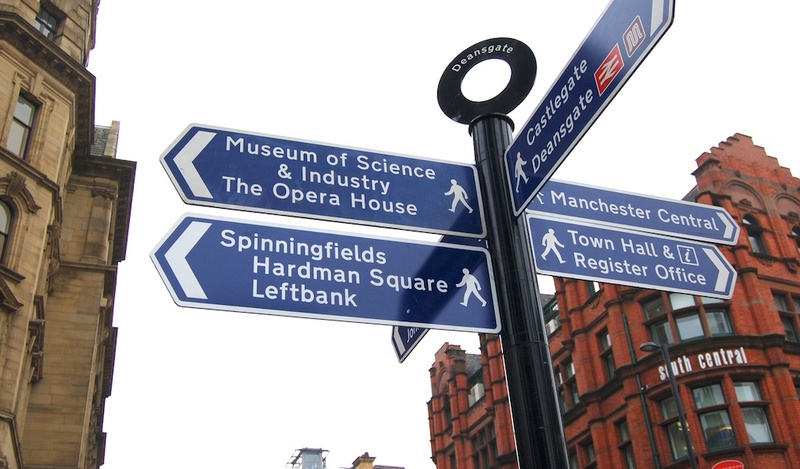 After a comprehensive wayfinding review and preparation of a detailed and robust wayshowing strategy, Momentum designed a site-wide pedestrian wayshowing scheme to support visitors with finding and navigating to the numerous retail, leisure, transport, cultural, commercial and educational destinations located either within Spinningfields or elsewhere in the city centre.